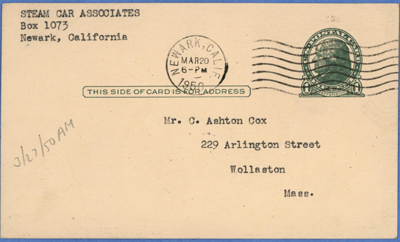 Little is known of the Steam Car Associates. Their name occasionaly appears but no one's name has surfaced. 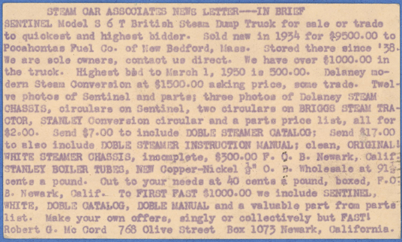 This postcard is entitled "Steam Car Associates News Letter --- In Brief." It was mailed by Robert. G. McCord on March 20, 1950. 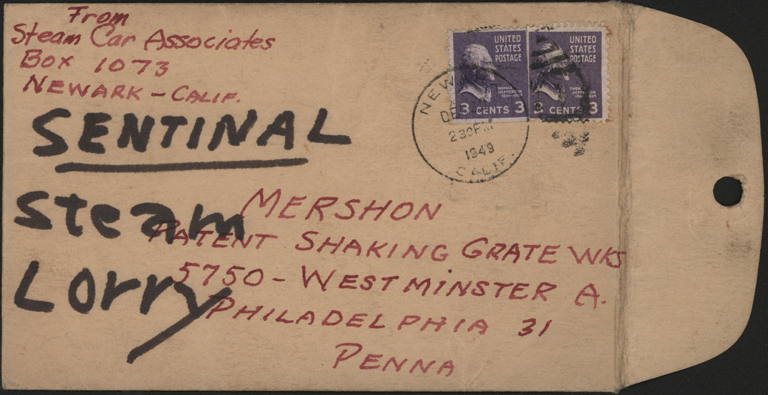 On December 30, 1949, someone from the Steam Car Associates sent ten photographs of a Sentinel Steam Truck, made by the Sentinel Waggon Works in this envelope to the "Mershon Patent Shaking Grate Wks" in Philadelphia. 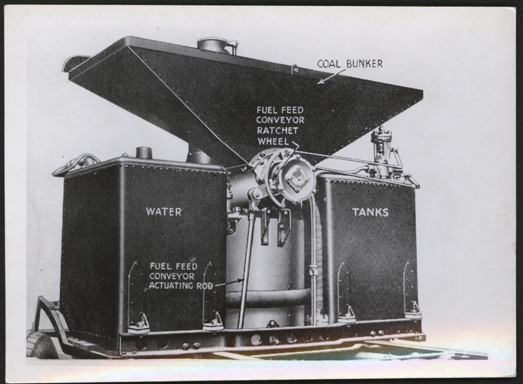 These two images show the "Boiler, Bunker, Tanks, and Automatic Feed Control" for the coal burning unit. 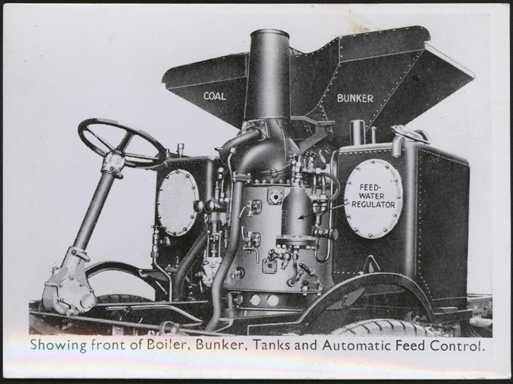 See the other images are on the Sentinel Waggon Works, Ltd. page. Contact us if you have additional information about the Steam Car Associates, or if you have questions.